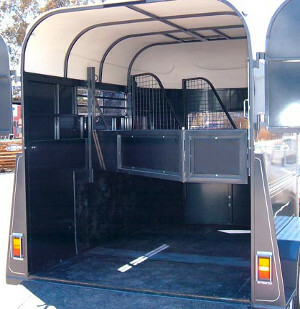 Highly anti fatigue and increase productivity providing the maximum comfort to the Horse or Cow. Rough textured surface provides traction and anti-slip properties. Being an open weave means that moisture and condensation will not build up under the mat as it does with solid rubber sheeting. Enough air circulates to allow the ute truck floor to dry. No retained moisture means no rust in floor of the ute truck. Easy to clean with water and a brush as dirt will flow through . Also can be used in wet/dry areas as the holes in the design ensure air flow through. 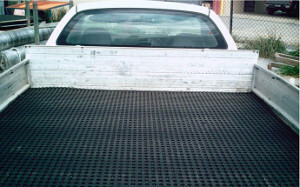 Rubber surface and anti-skid properties will provide relief for tired, aching feet and back muscles. Used in the transport industry. Can be used in engine rooms, restaurants, bars, assembly lines, luggage areas, in the tray of the utility.